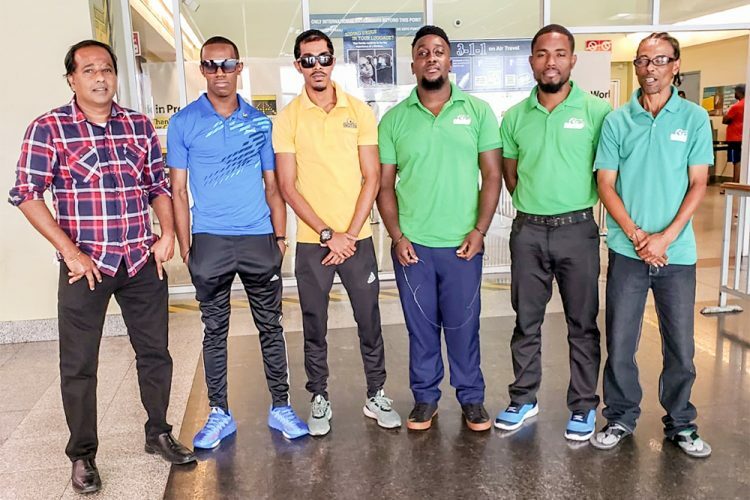 St Vincent and the Grenadines, represented by Damion Dublin, Kavir Gaymes and Romano Spencer, lost both matches, 3-0, on Sunday in teams’ play, on the opening day of the Caribbean Region Table Tennis Federation’s Pan Am Qualifiers in Guyana. The Vincentians’ losses came against Puerto Rico and host Guyana. Spencer and Dublin were beaten in the doubles by the Puerto Rican pair of Gabriel Perez and Daniel Gonsalez, 3-11, 5-11, 3-11. Gaymes lost to Ricardo Jimenez, 2-11, 2-11, 6-11, and Dublin went under to Perez, 6-11, 7-11, 7-11. The Vincentians though fared better in the match-up versus the Guyanese. Spencer and Dublin were defeated by Christopher Franklin and Joel Alleyne 11-4, 6-11, 6-11, 7-11. Also Gaymes lost to Shermar Britton 2-11, 9-11, 2-11 and Dublin, after winning the first two sets at 11-5 and 11-4, was beaten by Alleyne in the next three, 11-7, 11-9, 11-5. Kamal Hunte is the other member of the St Vincent and the Grenadines. Joseph Carrington and Khalique Bailey, has travelled to Guyana, as coach and manager, respectively.